Oddly, London seems to be blessed with venues boasting cool staircases. Many are spiral in design forming intriguing shapes as they climb towards the sky. Others demonstrate imagination and clever simplicity. All of them enhance and add something to buildings making them both memorable and unique. In the home, staircases have largely been an ignored feature. This trend is reversing with staircase manufacturers introducing new designs that can change the feel of a residence completely. Let’s take a look at some of the coolest staircases in London, possibly the world, and glean inspiration and admire the beauty. Based in Hackney you’ll find the Ship of Adventures. The rooms host The Hackney Pirates, a charity dedicated to helping young people learn, develop confidence, and perseverance. The rooms are regularly hired out as meeting spaces for local business too. The staircase is a particularly striking feature. Each stair is painted in colours to represent difference classic children stories. The Moomins, The Very Hungry Caterpillar, Treasure Island, Peter Pan, and The Twits all feature. Home to the Royal Aeronautical Society, No.4 Hamilton Place oozes Edwardian elegance. Often used to host events and receptions, the ornate stairs that lead to the roof terrace are simply magnificent. The design is intricate and yet it tastefully compliments its surroundings. Any visitor to the terrace that overlooks London’s Hyde Park cannot fail to be impressed. Spring Grove House is a Grade II listed building situated in west London. It was founded by Sir James Banks in the 1700s who was the most eminent naturalists of his time. He had accompanied Sir James Cook on his voyage to Australia and charted over 30,000 different specimens. Today, Spring Grove House is an educational and conference centre. It is often used in film shoots. A look inside reveals some highly ornate interiors including a fabulous staircase set against the backdrop of natural world mural. World famous hotel The Dorchester needs no introduction. Used for product launches, fashion shows, 5-star luxury accommodation, and dedicated conference and events facilities, the hotel has become iconic and is quintessentially British. The building’s interior houses one of the best spiral staircases you could ever wish to see. Like many staircases, this compliments the feeling of quality and prestige that the hotel is famed for. The Royal Society of the Arts House is a Georgian building that despite extensive refurbishment still retains the splendour of the period. One of these splendours is the staircase. Over the years RSA House has seen many scientific lectures given in its famous lecture rooms, and today RSA House is used by all manner of industries to host events from product launches to conferences. Staircases can be a central feature of a building or they can be tucked out the way merely serving a function. 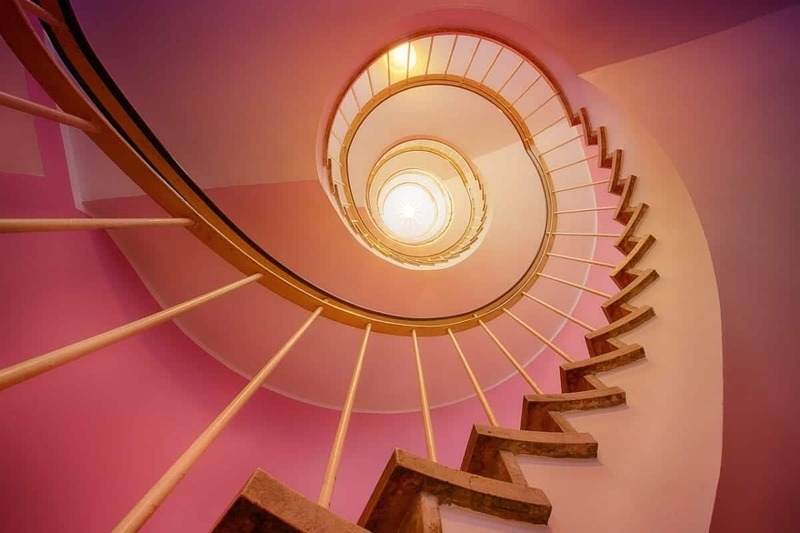 What the buildings above show us is that good use of staircases which is now possible for everyone using well designed prefab spiral stairs, really adds something to any building, whether it is in public view or in the home.